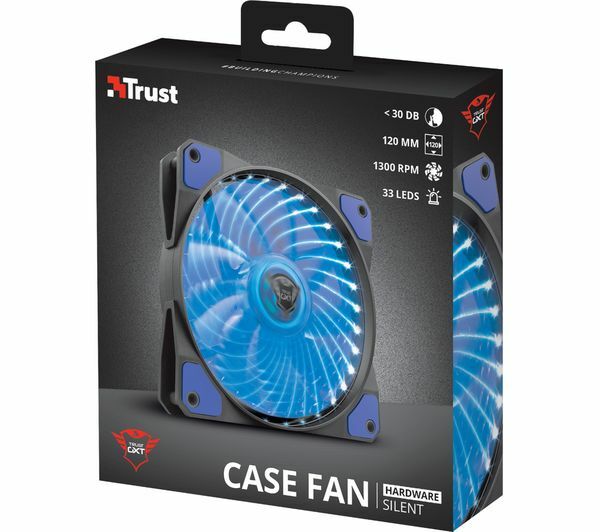 Cool down your PC and personalise your gaming setup in style, with the Trust Gaming GXT 762B 120 mm Case Fan. 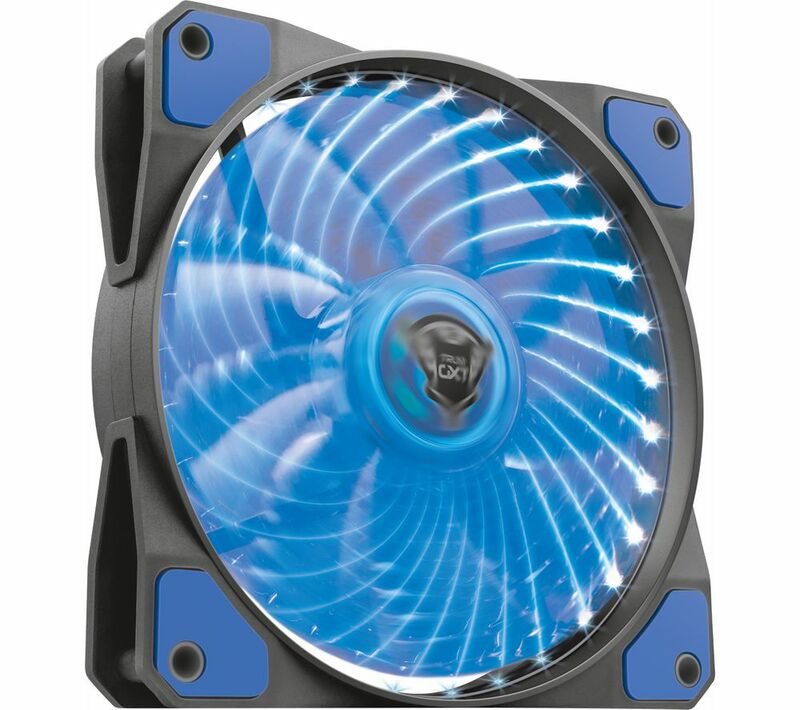 It has nine illuminated aerodynamic blades to balance cooling performance and noise levels. 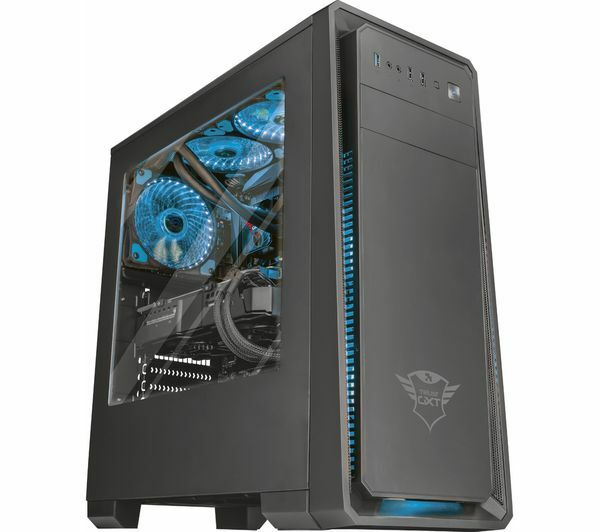 The benefit is a PC that runs smoothly with near silent operation during everyday tasks. 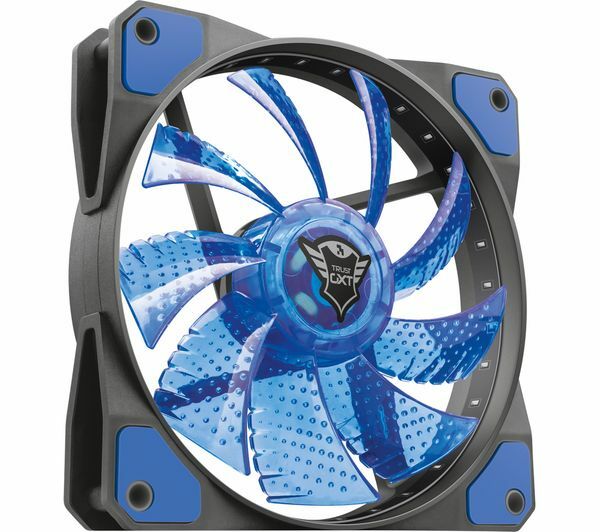 It's perfect for late night gaming sessions as you won't disturb anyone else while playing. 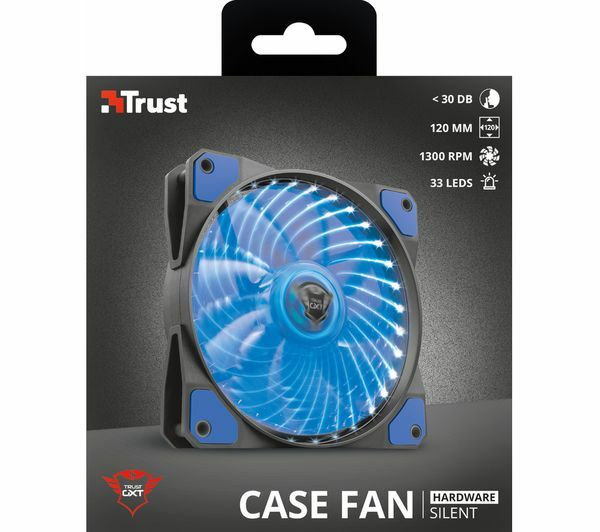 With a maximum 1300 RPM rotation speed, the fans provide efficient airflow levels to keep everything ticking over smoothly. And your PC is less likely to overheat. 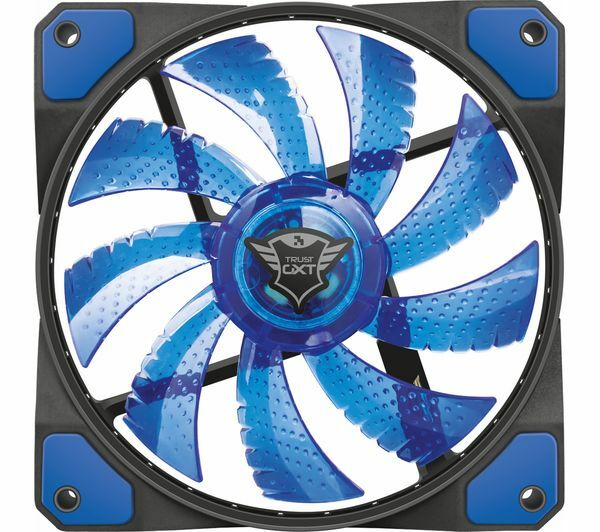 The GXT 762B will make your PC case look spectacular too, thanks to 33 blue LEDs that illuminate the blades for an eye-catching display.